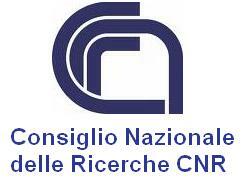 Registration for ACM CoNEXT 2009 and co-located workshops (ReArch, U-NET and CoNEXT Student Workshop) is possible through EDAS at this link. Each paper accepted at the ACM CoNEXT 2009 main conference requires a registration for the main conference at the "Standard" (i.e. non Student) rate. Each paper accepted to the U-NET and ReArch workshops requires at least one registration at the "Standard" (i.e., non Student) rate for the workshop. 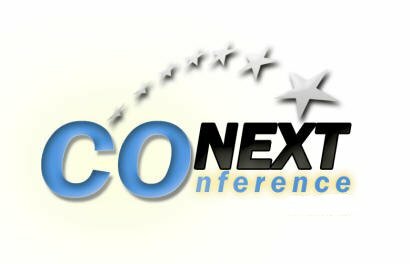 Students registered for the ACM CoNEXT 2009 Conference, can register for free for the CoNEXT Student Workshop. However, this must be done explicitly during the registration process on EDAS. participation to the social event (on the evening of December 3rd, 2009). Each workshop registration includes access to all sessions of that particular workshop, and the workshop proceedings on CD-ROM. Please remember that at least one author for each paper MUST register at the corresponding workshop. PLEASE NOTICE that, before registering for ACM CoNEXT 2009, you must create a profile in EDAS (unless you already have one). You can also make changes to your ACM membership information via this profile. If you are vegetarian, please update your EDAS profile in the "Dietary Constraints" field. On-site registration is possible but only on-line through EDAS and with credit card. We are not prepared to handle cash or other forms of payment. ACM CoNEXT 2009 conference registration includes attendance to the social event, which will be held on the evening of Thursday December 3rd, 2009. In case you want to bring a companion to the social event, you can indicate this on your EDAS registration and include the extra payment with your own conference registration payment (this case also applies to worskshop attendees who do not register to the ACM CoNEXT 2009 conference, in case they wish to attend the Social Dinner). The cost of an extra ticket to bring a guest to the social event is USD 110. You may cancel your registration until November 20, 2009. In case of cancellation, a cancellation fee of USD 75 will be deducted. No cancellation is possible after November 20, 2009. You can also transfer the registration, without charge, to another person. However, the one full-price registration required for each paper is not refundable under any circumstance. In case of an emergency that prevents the original presenter from attending, the registration may be transferred to another author of the paper. You may cancel your standalone registration to each workshop until November 20, 2009. In case of cancellation, a cancellation fee of USD 20 will be deducted. No cancellation is possible after November 20, 2009. You can also transfer the registration, without charge, to another person. However, the registration required for each paper will not be refundable under any circumstance. In case of an emergency that prevents the original presenter from attending, the registration may be transferred to another author of the paper. Last modified: October 5, 2009.